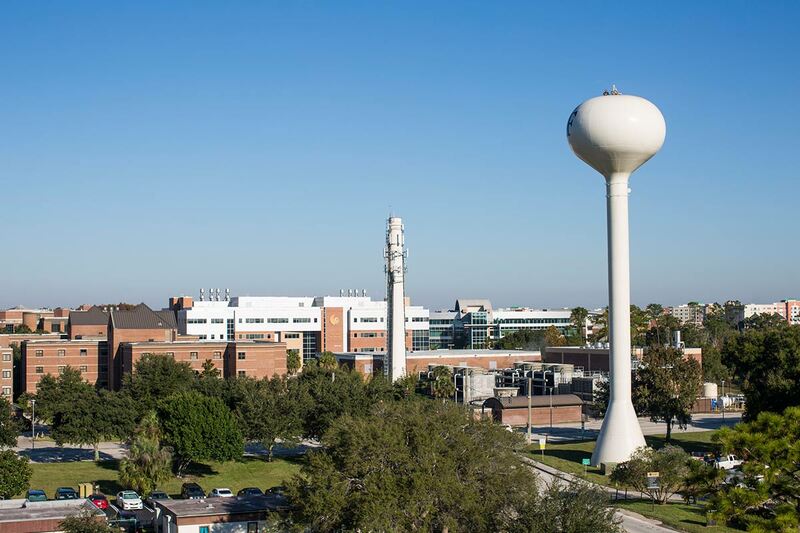 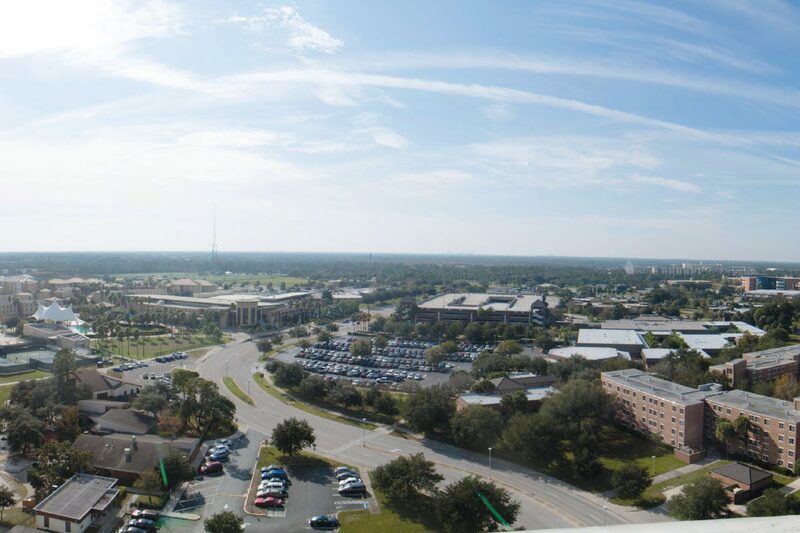 During a routine inspection and refurbishment, workers climbed inside and to the top of the tower and gained these rare perspectives of the UCF landmark. 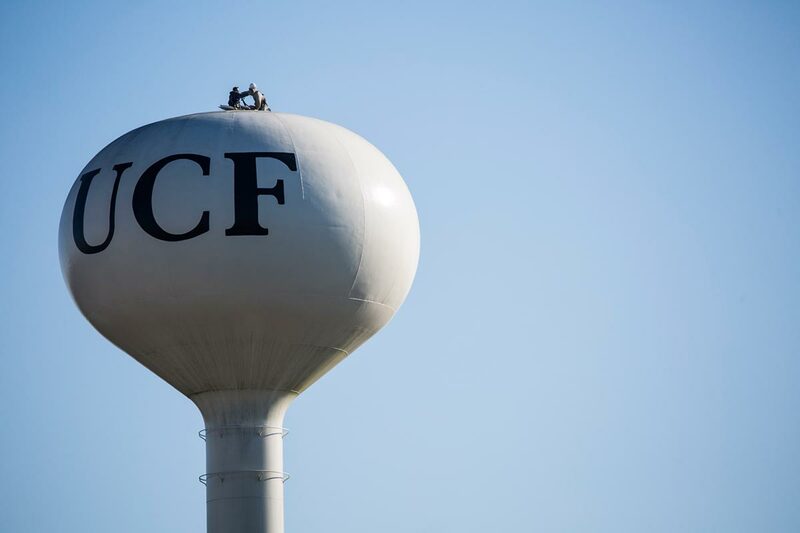 The Horton Waterspheroid, which was manufactured by the Chicago Bridge & Iron Company, is located in the southeast corner of the main campus. 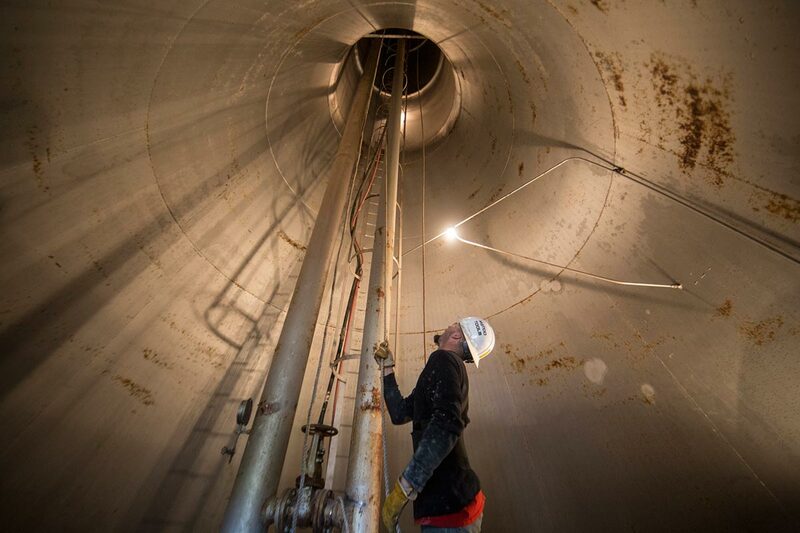 The elevated tank employs gravity to create enough pressure to transport potable water to buildings, fire hydrants and fire suppression systems across the 1,415-acre property. 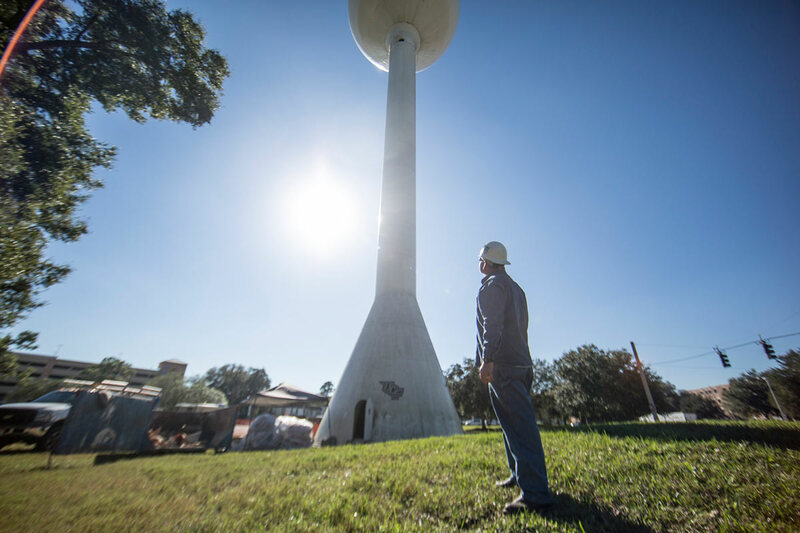 Rather than using expensive, high-powered pumps, this system significantly reduces the cost and amount of energy required to distribute water.